Despite our best efforts at budgeting and saving, unexpected expenses can come along and threaten to wipe out all our hard work. A broken down car, leaky roof, pricey medical bill — no matter the cause, you can quickly find yourself with an urgent expense and no funds for repayment. An emergency loan or cash advance can help you deal with the situation, but it is important choose the right lender. That’s where CashNetUSA comes in. CashNetUSA has more than 10 years of experience helping hardworking people get access to the cash they need as quickly as possible. Our transparent process lets you know exactly what you’re getting before you commit, and our highly trained, U.S.-based customer service representatives are there for you every step of the way. In addition, our loans are online so you don’t have to worry about finding the time to go to a storefront lender. Finally, our unique approval process allows us to consider applicants with less-than-perfect credit,* and applying won’t affect your FICO® score. 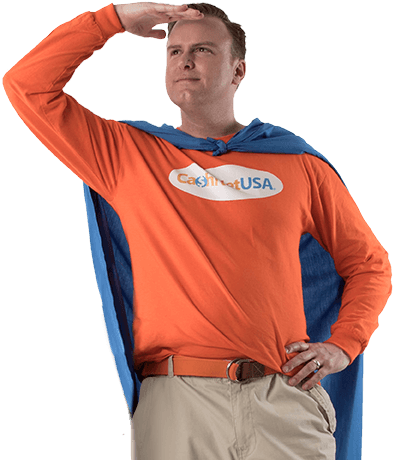 CashNetUSA does not operate in all states, and our products, which include payday loans, installment loans and lines of credit, vary by state. Check out our Rates & Terms page to learn more about what we offer in your state of residence. If you decide that CashNetUSA’s loans are a good fit to address your situation, our quick loan process makes borrowing as simple as possible. Our application can be completed in just a few minutes and is available online 24/7. We will provide you with an instant eligibility decision,* and if you are eligible, you can submit your application for approval. If you apply early and are approved, we will deposit the funds in your bank account as soon as the same business day,† allowing you to take care of your emergency as soon as possible. Using ACH, we can automatically debit your bank account when your loan is due, so you don’t have to worry about remembering to make payments when they are due, allowing you to focus on resolving your emergency. For some products, you can also repay with a personal check. The last thing you need when dealing with an emergency is more confusion and uncertainty. Our dedication to transparency and customer service ensures that you will know all of the terms of your loan before you sign anything and will be able to talk to our U.S.-based customer service team whenever you have questions or concerns. Get the relief you need with CashNetUSA.